This train consisting of 7carriages and 14 seats.The shape made up by difference animals(Tiger, zebra and giraffe).The length of the track can be specified by the customer. This product controls game operation time by 1-10 minutes. 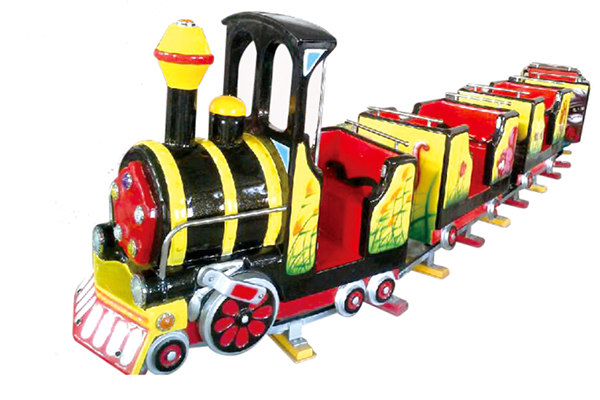 "Mini train" is a new type of amusement park rides for kids,which drives on the interchange track. driver runs simultaneously, along the track direction of automatic steering.